Home › Culture & Politics › Are Drug Video Busts Pointless? Videotaping the rich and famous—or relatives of the rich and famous—while they do drugs isn’t, of course, a new phenomenon. But after Gawker’s “Crackstarter” campaign—where the website raised $200,000 to buy a video of Toronto mayor Rob Ford allegedly smoking crack—recently went bust (they raised the money but the guy who supposedly had the video went MIA), is it time to ask ourselves how much we should be supporting this sort of thing? Does anyone ever clean up or even suffer repercussions as a result of getting busted on video? (From the Kate Moss example, we learned that not only do they not get into trouble but they actually land even higher-paying gigs and continue to look amazing). Obviously there’s a major difference between the implications of a supermodel and someone holding a political position doing drugs. Still, by rewarding drug dealers and users with huge sums of money for duplicitously videotaping the well-known people they’re doing drugs with, is that really helping anyone? Is this citizen journalism or just giving addicts another way to cash in and feed their addictions? And does raising $200,000 for a person shady enough to press record when the crack pipe was fired up really make sense when there are many far more worthy people and organizations out there? Kate Moss is represented by the number one international modeling agency IMG and has just inked a deal to design fashionable phone accessories. Joe Biden is still our VP. And the people who videotaped Moss, Ashley Biden and Rob Ford have more money to spend on drugs. Anna David is the New York Times-bestselling author of the novels Party Girl and Bought and the non-fiction books Reality Matters, Falling For Me and By Some Miracle I Made It Out of There. She speaks at colleges and on TV about addiction and recovery. 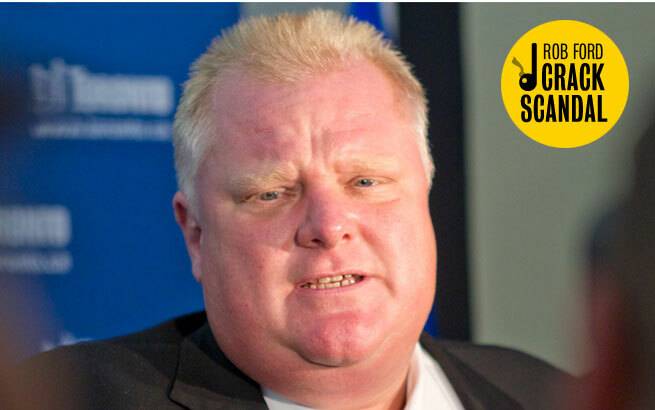 Rob Ford image courtesy of Toronto Life.